Logan Browning stars in Netflix's "Dear White People." It's nominated for Outstanding Comedy Series. 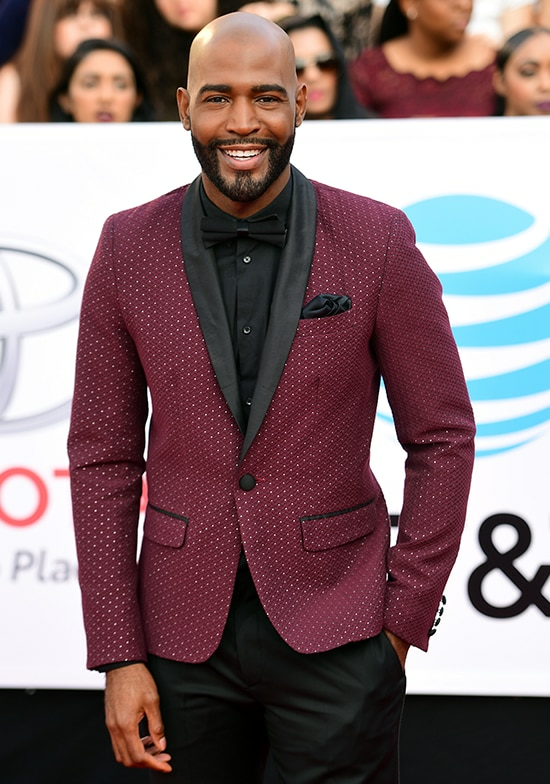 Karamo Brown arrives at the 49th NAACP Image Awards. Yara Shahidi stars alongside NAACP Image Awards host Anthony Anderson in "Blackish," and is the star of the spinoff "Grownish." "Survivor's Remorse" star Erica Ash arrives at the NAACP Image Awards. Former "Destiny's Child" singer Letoya Luckett arrives on the red carpet. Ashley Blaine Featherson stars alongside Browning in the nominated "Dear White People." "Scandal" star Kerry Washington arrives on the red carpet. "Orange is the New Black" star Danielle Brooks arrives for the award ceremony. Lonnie Chavis, who stars as Young Randall on "This is Us," arrives on the red carpet. Singer-songwriter Adrienne Houghton arrives for the show. "Blackish" actor Marcus Scribner stars alongside host Anthony Anderson and actress Yara Shahidi. Actress Jasmine Sanders arrives on the red carpet. "Insecure" star Yvonne Orji arrives on the red carpet. Actor Algee Smith arrives for the show. "Insecure" star and creator Issa Rae arrives on the red carpet. She's nominated for Entertainer of the Year. "Black Panther" star Chadwick Boseman arrives for the awards. He's up against Issa Rae for Entertainer of the Year. "Stranger Things" star Caleb McLaughlin arrives on the red carpet. He won Outstanding Performance in a Youth/Children's Series or Special during Sunday night's portion of the awards. "Orange is the New Black" star Laverne Cox arrives on the red carpet.